Do your legs look like a road map? Spider veins are a problem for millions of women and men. Those small yet unsightly clusters of red, blue and purple veins commonly appear on the thighs, calves and ankles. They are also noticeable on people’s faces. 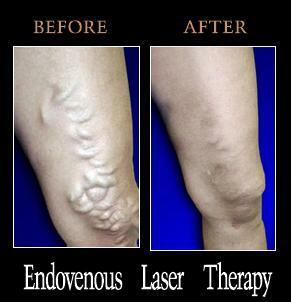 Varicose veins are the large, “rope-like” veins which are often one-quarter inch or larger in diameter. 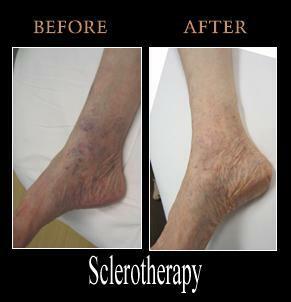 Varicose veins occur when veins are not properly returning blood from the lower leg to the heart. All veins have valves that open and close with the flow of blood to prevent backflow. When veins fail to function properly, they cause backflow which overfills and distends resulting in bulging seen under the skin. Approximately half of the population has some form of venous disease, and varicose veins affect about one out of two people ages 50 and older. 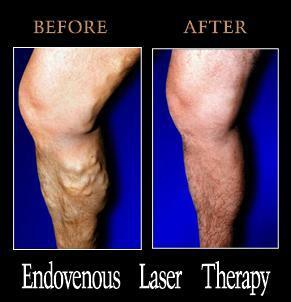 However, with endovenous laser therapy, no surgery is needed, and works by delivering laser energy through a small puncture in the leg to close the diseased vein. The entire procedure is often performed in less than an hour in our office.